Here it is the final day of 2010. Whether you are attending a fanciful and fabulous soiree’, a gathering with just a few friends or one of the many outdoor venues filled with musical events I wish you a wonderful and safe evening of fun! For my final blog of the year, I felt attention must be paid to some of the years more noteworthy celebrity makeovers. After all if we all had to live our lives in front of the camera’s there would sure be some mishaps, blunders and style victories. This year Rihanna rivaled Lady Gaga for the most often changing looks of the year. Ms R went from a bleached pixie to a firey red one… that was then cut into a bowl cut, then transformed into a massive head of curls. I can’t say that I love the fire engine shade of the curly q’s but no doubt before we can blink an eye Rihanna will be off and rocking a new do in 2011. 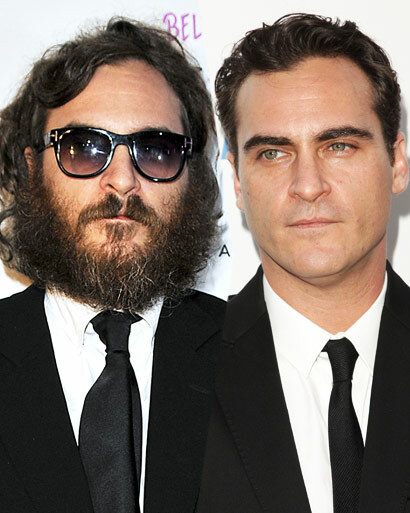 In 2008 Joaquin Phoenix announced that he was retiring from the acting biz in favor of working on a musical career… with long hair and a shaggy beard he appeared uncomfortably on talk show after talk show, but many suspected it was just a rous… turns out he was filming a documentary called I’m Still Here with bro-in law Casey Affleck and eventually returned to his rugged but clean shaven self! 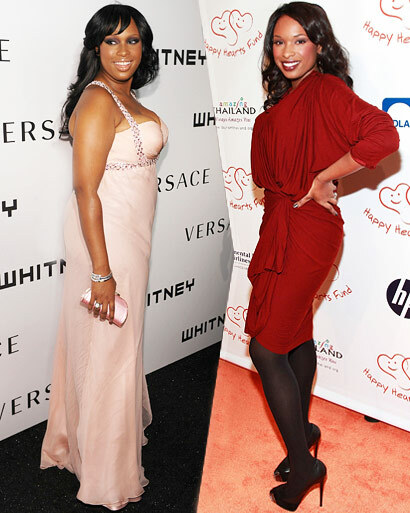 The fabulously talented and gorgeous Jennifer Hudson didn’t need to lose those lbs to make us love her but, after giving birth to a baby and joining Weight Watchers the songtress/actress dropped down to a size 6 and looks happier, healthier and more incredible than ever! Recently the star of “Easy A” and fierce redhead Emma Stone shocked fans by changing her locks from her trademark shade to a pale shade of blonde. We hear she did it for her upcoming roll in the next Spiderman, either way…we thinks she looks fab! One of the 2009 fan favorites on Dancing with the Stars, Kelly Osborne seemed to be changing right before our eyes… gone was the alternative angst look in favor of a more slim, chic and sophisticated woman…Osborne even appeared on the cover of Shape magazine showing off her svelt figure. Holy Hogwarts, Hermione is dead! Emma Watson made one of the biggest leaps in chic this past year by chopping off her girlish mane in favor of a more modern pixie cut and just as Mia Farrow decades ago, it turned her into the it girl of the moment. For a Spring cover of Elle magazine Taylor Swift was convinced to chop some bangs and straighten her hair. The look shocked friends and fans of the pop star in such a good way that Swift has returned to the look time and time again throughout the year.